*Labor not included. Plus fees and sales tax. Valid only at Fernandez Honda. Must present coupon when written. One coupon per visit. Not valid with any other coupons or advertised specials. Good on Honda models only. Offers expire end of month. ©2018 Strong Automotive Merchandising. All Rights Reserved. When you have parts that need replacing or are just looking to upgrade your Honda, we know you need the right parts at the right price. When it comes to using the right parts, using Genuine Honda Parts that are made specifically for your vehicle is the only way to go. Coming straight from the factory, these parts are sure to perfectly fit your vehicle and deliver maximum performance. At Fernandez Honda, we stock our shelves with these exact parts and strive to provide top-notch quality service when you visit us! Not only do we have the high-quality parts, but we also have the deals to save you money! As car owners ourselves, we know that doing repairs or upgrades on your vehicle can get expensive. That’s why we provide discounts on many Genuine Honda Parts to give you extremely competitive pricing for any service or repair that you need done. The experts in our Parts Department can help if you have any question about which parts your vehicle needs. Save some money on your next repair or upgrade today at Fernandez Honda! Ready to save some money on your next repair or upgrade? You can order your parts online now or come by our service center at Fernandez Honda in San Antonio, TX today! We serve drivers from all around Floresville, Pleasanton, Boerne and surrounding areas with our convenient location at 8015 IH 35 S., San Antonio, TX 78224. You can also schedule your service online with our convenient form or give us a call at (210) 253-8550 to schedule your service over the phone. 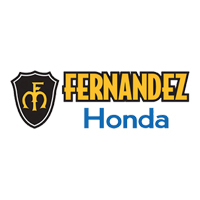 Get your Genuine Honda Parts at a great price at Fernandez Honda today!